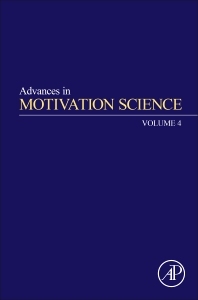 Advances in Motivation Science, Volume Four is the latest in Elsevier's brand new serial on the topic of motivation science. For this release, users will find comprehensive chapters on a variety of topics, including Self-regulatory functions supporting motivated action, Motivating personality: Approach, avoidance, and their conflict, Incentives and pay for performance in the workplace, Culture and motivation: A socio-ecological approach, The evolving understanding of physical activity behavior: A multi-process action control approach, and a chapter on Motivated emotion regulation: Principles, lessons, and implications of a motivational analysis of emotion regulation. The advent of the cognitive revolution in the 1960 and 70s eclipsed the emphasis on motivation to a large extent, but in the past two decades motivation has returned en force. Today, motivational analyses of affect, cognition, and behavior are ubiquitous across psychological literatures and disciplines. This series brings together internationally recognized experts who focus on cutting-edge theoretical and empirical contributions in this important area of psychology. Andrew J. Elliot is Professor of Psychology at the University of Rochester. He received his Ph. D. from the University of Wisconsin-Madison in 1994. His research areas include achievement motivation, approach-avoidance motivation, the development of motivation and self-regulation, and subtle cue and context effects on psychological functioning. He has been (or currently is) an Associate Editor at Emotion, Journal of Personality, Personality and Social Psychology Bulletin, Psychological Science, and Social and Personality Psychology Compass, and has edited two handbooks: Handbook of competence and motivation (with Carol Dweck) and Handbook of approach and avoidance motivation. He has over 170 scholarly publications, has received research grants from public and private agencies, and has been awarded multiple awards for his research contributions.